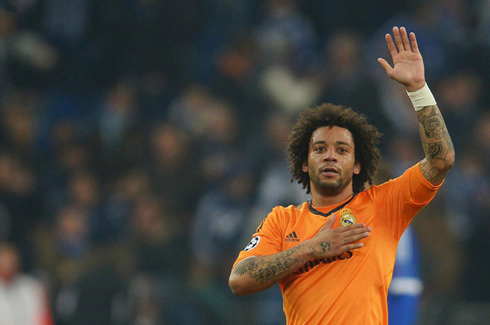 ﻿ Schalke 1-6 Real Madrid. The BBC partnership frightens Europe! 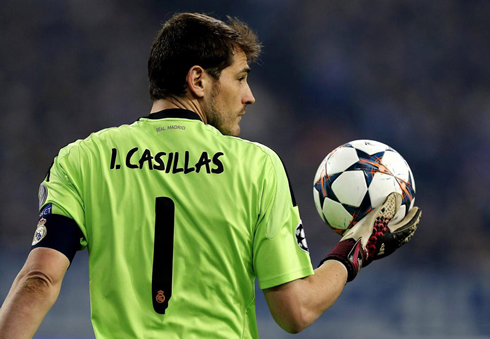 26.02.2014 » Schalke 1-6 Real Madrid. The BBC partnership frightens Europe! It's not like Schalke haven't been warned... Ancelotti had already announced that the BBC partnership was going to line-up in Germany and it turns out that the've made their return in great style, with Benzema, Bale and Cristiano Ronaldo scoring two goals each. Real Madrid quite destroyed Schalke in a 1-6 win and have virtually earned their ticket into the UEFA Champions League quarter-finals. 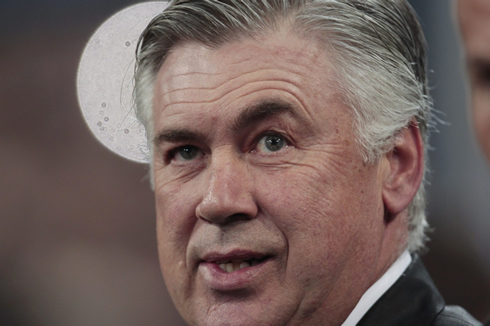 What a display from Carlo Ancelotti's squad! Real Madrid ran over Schalke 04 this Wednesday night at the Veltins-Arena, after pulling off an historical 1-6 win in the first leg of the UEFA Champions League last-16 round. More than 2 weeks had passed since Cristiano Ronaldo's last appearance and just like Ancelotti and Xabi Alonso had previewed, CR7 was decided to make a strong statement in his return. Real Madrid outclassed their opponents with one of their best performances of the season and the attacking trio formed by Bale, Benzema and Cristiano Ronaldo (BBC) has been quite simply unstoppable. All of them scored a brace on this first leg tie, while the hosts only managed to deliver their own fans a single moment of joy, through a splendid late goal scored by Huntelaar. It has certainly been a great game to lift the Merengues' motivation levels even more, especially with a thrilling Atletico Madrid vs Real Madrid league derby scheduled for this Sunday. With tonight's win against Schalke 04, Real Madrid have completed their 15th game unbeaten in 2014 and thus far, Ancelotti's men won 14 matches and only tied one (in Bilbao, against Athletic). The Italian manager was delighted for finally being able to play with Ronaldo and Gareth Bale right from the start, something that hadn't happen even once in the past few weeks. The two most expensive football players in the World were escorted by Benzema in the attack and it simply couldn't have gone any better for the men in white. The midfield sector was occupied by Xabi Alonso, Modric and Di María, while at the back the defensive wall was formed by Marcelo (left-back), Pepe and Sergio Ramos (centre-backs) and Carvajal (right-back). On paper, this seems to be the strongest line-up Real Madrid can present this season. 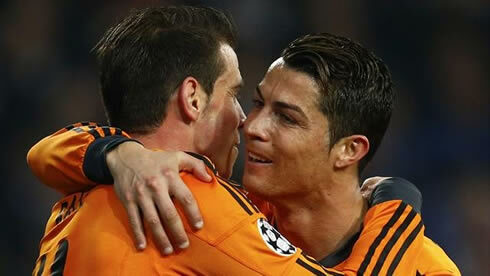 The beating started roughly inside the 13th minute of the first half, in a play where Gareth Bale showed off a first sample of his excellent footwork, getting rid of two opponents just before passing the ball forward to Ronaldo. The Portuguese player tried to return the pass with a backheel touch, but saw it getting slightly deflected on a Schalke's defender legs, and falling near Karim Benzema's area of action. The France international didn't lose much time thinking twice and finished it off without much trouble, delivering Real Madrid an always important early lead. If Bale's footwork had already impressed on that opener from Benzema, then it's only fair to say that his masterpiece on the second goal managed to top it. The Welshman showed once again why Real Madrid spent 91 million euros in bringing him to the Spanish capital and after getting rid of two defenders in nothing less than a brilliant manner, he struck the ball into the low corner of Schalke's goal, setting the score to 0-2. 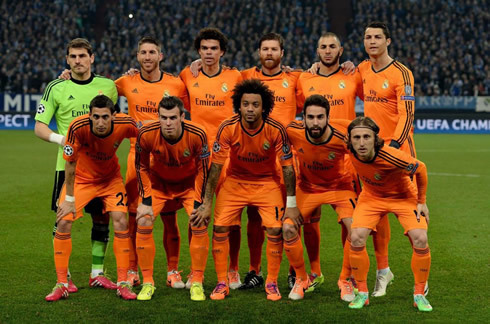 Real Madrid was in front and was easily capitalizing on the hosts' poor defending. Just 5 minutes later, Benzema and Cristiano Ronaldo exchanged a couple passes near Schalke's box, right until CR7 assisted the Frenchman for a 1-on-1 goalscoring chance through a little flick on the ball. The former Olympique Lyon striker dribbled the goalkeeper quite easily and then slided the ball in into the back of the net. The hammering at the Veltins-Arena didn't seem to have a foreseeable ending and Schalke was on the verge of suffering one of their biggest humiliations ever in Europe. The "manita" (0-5) was completed in the 69th minute, during a period where Sergio Ramos was already adventuring himself forward and which allowed him to assist Gareth Bale with a perfect through pass. The former Tottenham winger shifted another gear up to catch the ball and as Schalke 04's goalkeeper was rushing to meet him, Bale curled his shot into the far post. The game had just turned out to be way too easy for the visitors, even if the term of comparison had been a weak La Liga side. Real Madrid's count for the night was finally closed in the 89th minute and it would be Cristiano Ronaldo writing his name on the scoresheet once again. Schalke's defense was absolutely in ruins for quite some time already, but when the FIFA Ballon d'Or 2013 winner picked up a short pass from Benzema and saw no one in front of him but Schalke's goalkeeper, he didn't think twice. We were about to enter stoppage time, but Ronaldo raced forward in full speed just as if he had stepped in to the pitch a few minutes ago. He then went around the goalkeeper and slotted the ball into an empty net, scoring his 11th goal in the UEFA Champions League this season. Schalke's response came in right after, but it would be no more than a consolation goal for the home fans. The former Ajax and Real Madrid striker, Klaas-Jan Huntelaar, scored what may have been one of his best goals in his career, but at the same time what can also turn out to be one of the most useless goals he has netted. The Netherlands international met a high cross coming from the left and performed a stunning volley into the left top corner, just when he was about to step in into Real Madrid's box. 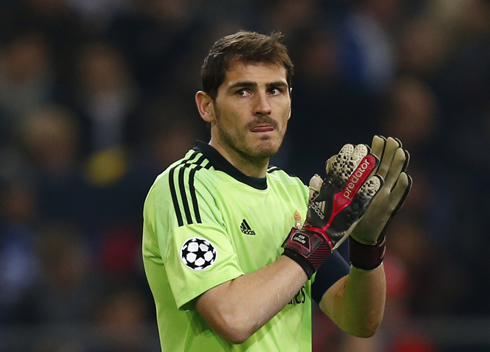 Iker Casillas had absolutely no chance whatsoever to reach out to the it and saw his unbeaten record coming to an end, after completing 952 minutes without conceding a single goal for Real Madrid. The two teams will meet again for the second leg on March 18, even though the Germans don't have any hopes left of still going through. Cristiano Ronaldo became once again the competition's top goalscorer with 11 goals, leaving PSG's Ibrahimovic behind with 10 goals and Barcelona's Lionel Messi in third with 7 goals. Cristiano Ronaldo next game for Real Madrid will be against Atletico Madrid in La Liga, on March 2 of 2014. You can watch Juventus live stream, Atletico Madrid vs Real Madrid, Barcelona vs Almeria, Napoli vs Swansea and Tottenham vs Dnipro, all games provided from our live gaming section.